Soak up sunny days with endless Spring fun during our Spring It On! event including our annual Pond Skim competition. Join us April 5-7th. From a little complimentary bubbly served daily, to live bands in The Village, there are tons of Springtime events to make your Spring trip fun. It's not too late to learn a new sport this Spring! 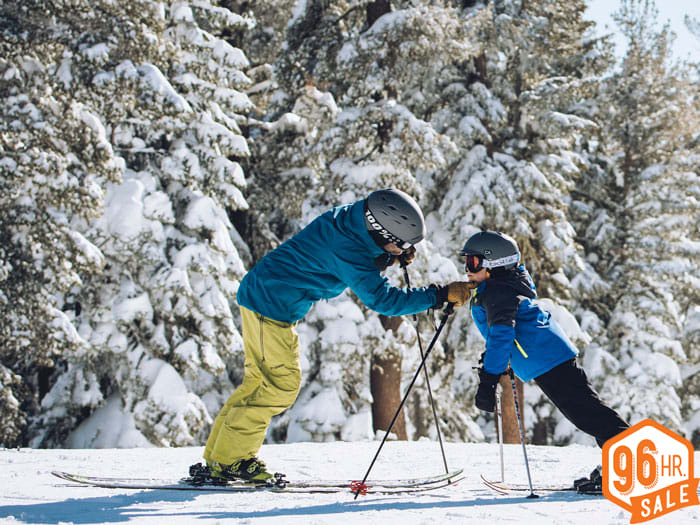 Reserve your ski and snowboard lessons in advance this year to get the best possible rate and guarantee your lesson. Check one of our signature lessons for a different ski school experience! Want to know a pro tip before your trip? Buy online, skip the line. Purchase your tickets 7+ days in advance to get the lowest price guaranteed. Take a test drive this Spring with a new pair of skis or board at our premium rental locations. Reserve in advance to access our in-store express lanes, or book delivery and we'll bring the equipment to you!